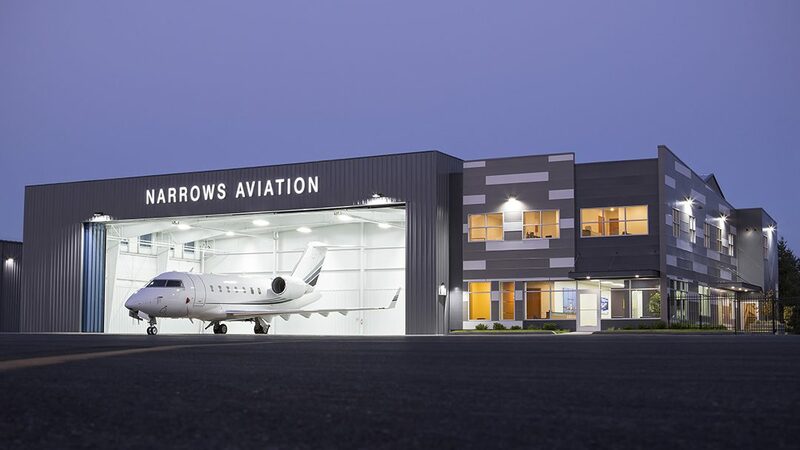 TACOMA, Wash. / November 12, 2018 / GENERAL AVIATION NEWS – Tacoma Narrows Aviation is pleased to announce the completion of its new executive terminal facility: the FBO’s corporate air center. The beautifully-appointed corporate air center includes 30,000 square feet of heated hangar space, 2,500 square feet of passenger and crew amenities, and 5,500 square feet of office space. Guests to Tacoma Narrows Aviation will enjoy an abundance of amenities from the corporate air center, including: a hospitality area, a flight planning room, a refreshment bar complete with soda and coffee, a pilot lounge for respite, and a conference room for business. Situated in a premier location on the airport field near the main gate, the corporate air center is now the pride of Tacoma Narrows Aviation, helping to fulfill the FBO’s goal of providing the finest flight experience in the Puget Sound aviation market. As an Avfuel-branded FBO, Tacoma Narrows Aviation offers guests competitive prices with Avfuel Contract Fuel and robust rewards with AVTRIP. The FBO is situated just 30 miles south of Seattle with more economical hangar rental rates than metropolitan airports and the added convenience of less congestion, equating to no-wait service, and quick taxiing and departures. Normal operations are from 6:30 a.m. to 6:30 p.m. daily. Tacoma Narrows Aviation at TIW is the region’s premier business jet facility. With a runway measuring 5,002 feet long by 100 feet wide, the FBO is capable of handling all general aviation aircraft. Conveniently located near the main airport gate, Tacoma Narrows Aviation is a great alternative to busy Seattle airports with competitive fuel prices and an array of amenities: rental cars, hotel discounts, U.S. Customs clearance, lav cart, power cart, catering and internet access, and full-service and self-serve avgas.